TechInsights reported that it costs Apple $357.50 to make the $999 model with 64GB of internal storage. That means the phone has a gross margin of 64%. Bear in mind that these are the costs for the components themselves, and won’t take into account longer-term costs like research and development. 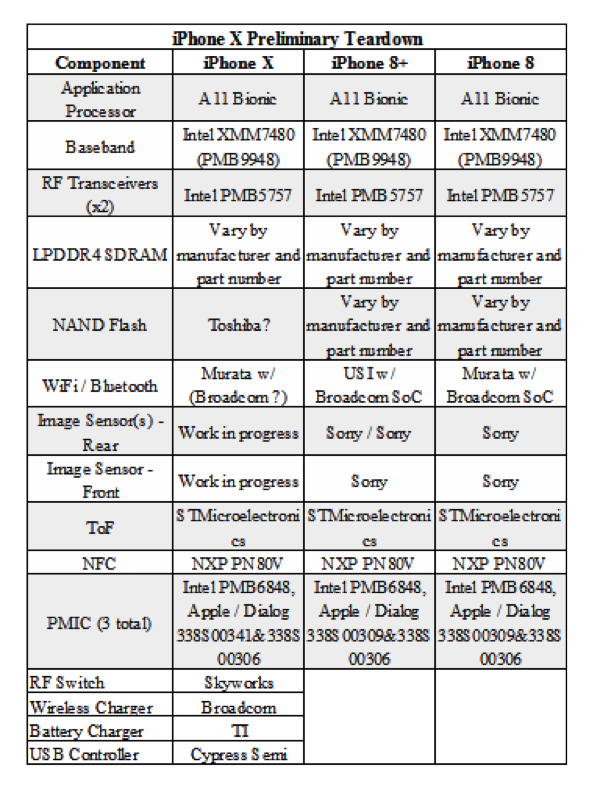 However, as shown below, TechInsights missed some of the components, which we added at the bottom of the table below. The iPhone 8 has a gross margin of 59 percent for the $699 model, meaning it costs around $286.60 to produce. Apple pushed up iPhone X costs compared with the iPhone 8, though. The 5.8-inch OLED screen costs $68.50, where the older LCD screens cost $36. Similarly, the stainless steel band around the X costs $36, more than the $21.50 aluminum case on the 8.